The Original Invisible Ink pen contains High Quality Invisible Ink that does not dry out when capped and stored and will make 1,000 marks. Beware of cheap imitations. (not recommended for use on skin or as a cosmetic) Note These are NOT Germ pens or for temporary marking. This is the perfect invisible ink pen for identification marking. Black light reactive and glows an incredible bright blue, Red, or Yellow. Works on a variety of surfaces. Totally invisible only visible with UV Black light. Goes on clear. Felt sharp tip applicator. This Pen can be used for several applications including Property marking, industrial and manufacturing, documents, retail and and ecommerce. Sellers mark products to protect against fraudulent returns. Warehouses use them to mark boxes. Not recommended for skin. Use just as you would a regular pen. Test on surface in an inconspicuous area to determine results. Surfaces may vary and some surfaces such as high brightness copier paper may already have similar elements present in invisible ink and can obscure the effect. Some glossy surfaces may show an outline. Certain plastics may rub off. Be sure to use a true black light as party style incandescent bulbs will not be sufficient. Simply mark the item and then reveal using a UV black light. Invisible ink and Invisible ink pens are great for property, document, and marking all kinds of surfaces and applications. Great for secretly marking valuables and other items. Only visible under a black light. 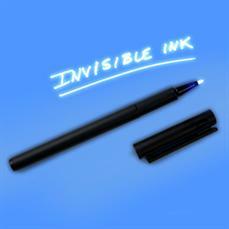 Invisible Ink Pens can be used for marking personal belongings and valuables or items for resale. Ebay sellers love to use these to make sure they don't get items back they never sent out. They are great for paper marking of documents and other important papers that you don't want to be duplicated. What is "Invisible Ink" and what is it used for? Click here for a brief history of invisible ink and it's application. Choose from several different options below including marking kits and light choices. Note: These pens are not for "germ marking" and will not wipe off These are for more permanent applications such as property and document marking. These pens are generically packaged and unmarked perfect for resale or imprinting. available in lots of 100 or more at a discount. Choose your quantity. 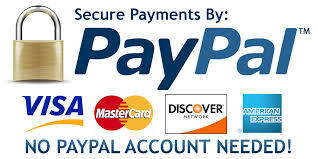 Discounts are offered based on packaged quantities and volume. Pen orders over 100 require 2-3 weeks to arrive. Mark property and documents, permanent on most surfaces.